Without communication to stakeholders, companies run the risk of damaging their reputation when faced with stakeholders questioning their actions. With increasing scrutiny over organizations’ environmental footprints, companies need to ensure their good deeds are being shared while problems and follow up actions are clearly communicated. 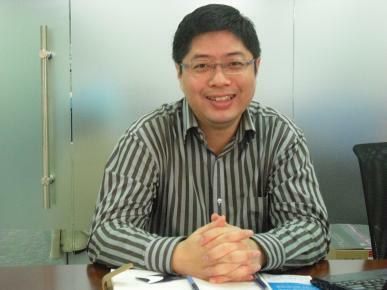 We talk to Dan Ye, CFO and Director of Business Development of PR Newswire Asia about his views on communicating CSR. Ecozine: Could you briefly describe about your company? Dan: Our company is headquartered in New York and we are the largest and oldest provider of corporate news in the world. We disseminate press releases and corporate announcements to different media outlets such as information on earnings, marketing, appointments and CSR messages because companies want to communicate with the media and consumers. We are different from PR agencies that focus on strategy and consulting since we only distribute press releases but we don’t write them. Globally, we have 30,000 companies as clients, ranging from Fortune 500 companies to SME’s. In Asia, we work with more than 2000 organizations. Globally millions of people get our news through our distribution network. Ecozine: What are examples of companies that you think are doing well in communicating CSR and what makes them successful? Dan: US and European based companies have more sophisticated CSR programs with big teams that can support CSR so it is not as fair to compare them to smaller companies. I think that no matter the size of the company, you can still do CSR. Zipcar is one of our clients and this company has built CSR into their product and there is the advantage that the product carries that message. We constructed the CSR Room for them which is a website that carries a different message and program for specific audiences. It is important to have a push and pull strategy with the push from sending out press releases and the pull in drawing traffic back to the site. Ecozine: How do companies in Asia compare to companies in other parts of the world? Dan: It is not just companies in Asia but overall, it can be difficult to navigate through company websites with CSR information hiding somewhere rather than something that is up front. From a communication perspective, when CSR is built into the product, it is easier to communicate to audiences. For companies in China and Asia, there are still not going beyond their closest group of stakeholders. The stakeholders who would notice their initiatives are mostly the analysts closest to them. The media and public barely know anything the company is doing. Ecozine: Why do you think there is such a big difference? Dan: There is a big difference in people’s cultural background, education, and the general economy. The understanding of the CSR message is different, compared to US and China quite different. The majority of CSR in China focuses on donation, community development, and sometimes the environment. The US is also important, but in more cases, CSR is directly linked to products and marketing. The sophistication of the markets is different and the local media and audience have not yet come to a point where they will want to read a more in-depth CSR message. Currently, the information is quite straightforward, such as how much money has been donated. By making the information more sophisticated, people just won’t get it. Ecozine: How should companies improve on communicating CSR? Dan: Companies need to go beyond just donations by looking at their company culture, strategy and product, and understand the connection between the donation and the company. There needs to be more thinking, not just doing it for the sake of it. For community and environmental support, CSR programs need to be chosen selectively, Companies don’t really think about particular markets when they are operating locally, but as their business expands, they need to adapt to local markets and have to think holistically about how to communicate with government, consumers, and media in that country. Familiarity with the local community is needed to make sure that cultural differences are accounted for. US and European companies have been expanding globally for many years so they have experience with building up their company’s image and developing mature localized CSR programs. Newer Asian companies have to start thinking about that. Ecozine: What do you see in store for online CSR sites? Dan: Online sites tend to be more updated whereas print forms are more in-depth. For CSR sites, people go there on purpose to seek relevant stories. With too much information competing for attention, people are likely to spend time to read it because the information has already been screened. Bilingual sites are beneficial because many journalists want to learn about CSR. These sites can attract audiences outside of China. Currently, there are no leading sites in China focusing on CSR. Ecozine: What role does social media play in CSR? Dan: Blogs are good but they have limitations. Social media platforms can help to disseminate CSR messages and help people understand a company’s image but companies very little influence over the audience. I think Twitter is a more effective tool. But companies need to have resources attached to it, so they can’t just set up an account and leave it alone. They need to listen to the feedback, and if there is misleading information, they need to clarify and try to explain it. If there are already conversations spreading, it can be too late for companies to clarify them. For example, there has been a storm of comments about BP. Some social media monitoring tools can send alerts in real time. Companies should be proactive in building their image because it is difficult to prevent people from talking about you especially when what people say can be based on their perceptions. But the public can tell whether something is consistent or not with the company, so companies need to be proactive and build trust with stakeholders and have a track record of sharing both the good and bad, not just propaganda. Ecozine: What makes a CSR story interesting? Dan: Audiences often take one glance at a story and walk away because they feel that the story is just another information piece. A good CSR story is one that is meaningful to tell. Each CSR story needs to be unique with an angle or perspective attached to it. It needs to be news worthy. For example, with Earth Hour, many companies sent out press releases so that there are 20 stories on the same thing. It doesn’t matter what the company does, but they need to articulate why and rationale behind an initiative.